Synopsis: A subjective documentary that explores the numerous theories about the hidden meanings within Stanley Kubrick’s The Shining. 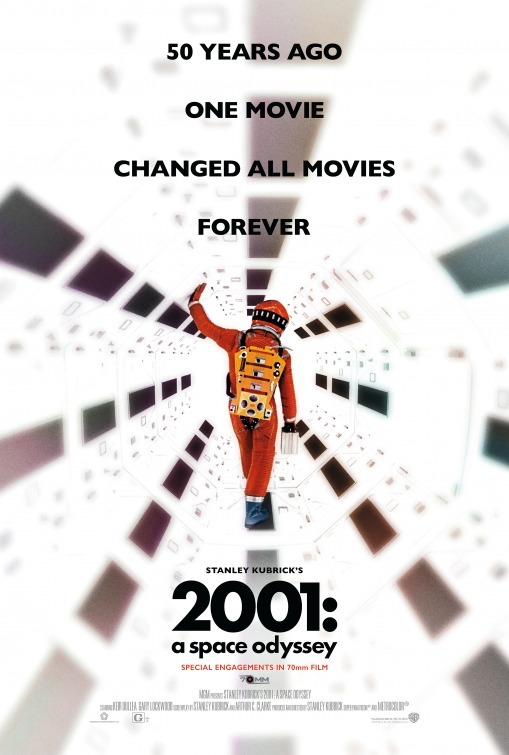 The film may be over 30 years old but it continues to inspire debate, speculation, and mystery. 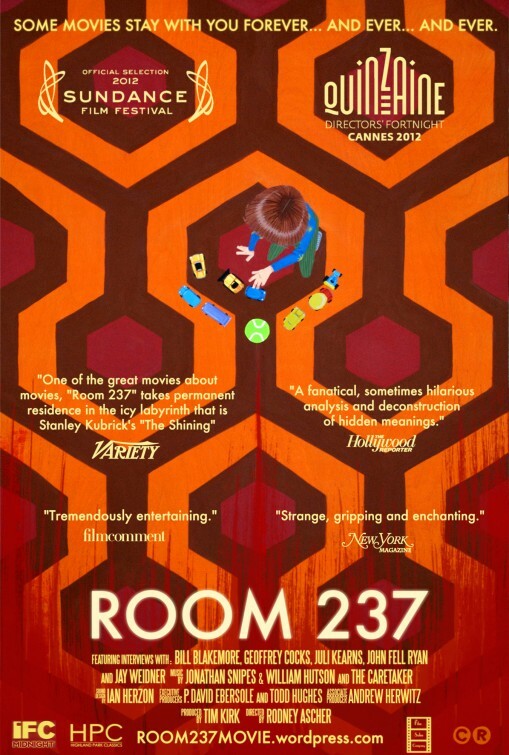 Review: At one point in the “subjective” documentary Room 237 one of the unseen commentators qualifies his theory regarding Stanley Kubrick’s 1980 horror film The Shining by stating “I may be grasping at straws here” – a not so off the mark statement. The majority of this entertainingly watchable but ultimately far-fetched examination of the various conspiracy theories surrounding the movie version of Stephen King’s novel is focused on obsessive minutiae that the casual movie-goer won’t notice. That’s not to say you’re going to need a film degree to appreciate what director Ascher has complied here, but even the most dedicated Kubrick/Shining fan may have their work cut out for them as five points of view surrounding hidden meanings behind the carpet, costumes, setting, food cans, and so much more that are used in the film are explored. Released in 1980 to disappointingly mixed reviews considering the caliber of talent involved, The Shining has grown in popularity over the years and its with repeated viewings that some of the true genius of director Kubrick’s vision emerges. What on the surface looks to be a standard horror yarn surrounding a family taking care of an isolated inn over a chilly winter and the various evils they encounter could really be about the genocide of the American Indians, or the holocaust, or a thinly veiled confession by its director that he helped fake the footage of the Apollo moon landings. At least that’s a few of the ideas the five individual theorists put forth over the brisk running length of the documentary. It’s a classic case of seeing what you want to see in the images displayed and I can’t disagree that some of what it presented makes a lot of sense when you ponder on who was behind it all. Kubrick was notorious for his obsession with the smallest detail in his films so when its pointed out that props disappear or change color from one shot to the next it’s worth thinking it over because something so glaring is clearly intentional – but what does it all mean? It’s when the movie goes into theories that involve looking at the film frame by frame that the documentary gets a bit thin in the supporting information. True, some of the extra long dissolves from one scene to the next have definite cinematic clues in them but claiming that one freeze fame shot makes a file inbox look like a phallus may raise your eyebrow in a “give me a break” arch. Agreeing or disagreeing with the theories aside, I can’t imagine anyone watching this documentary and not having a strong urge to revisit the source material again right away. You won’t be able to view The Shining the same way again once you’ve learned about the set-up of the Overlook Inn (with its impossible windows and contradictory lay-out) or the poorly hidden (when pointed out) references to the Apollo 11 mission. Ascher plays these carefully edited interviews over even more carefully edited footage from not only The Shining but every Stanley Kubrick film released (save for some of his short films) in addition to other Hollywood films that help the story. It’s a remarkable compilation of clips, animations, diagrams, models, and a few recreations that help tell the story and illustrate the theories presented. The Shining is a film I’ve learned to appreciate as the years go by and Room 237 adds another layer of interest to viewers both new and old alike. Though I thought a hefty portion of the theories read way too far into what Kubrick was presenting, it’s hard to deny that Room 237 is a fascinatingly obsessive look into a film crafted by a fascinatingly obsessive filmmaker.